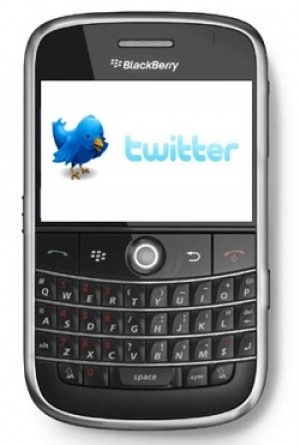 Twitter for BlackBerry now official | BlackBerry Blast! Twitter for BlackBerry has dumped the beta label and is now official. Most of you have probably been using Twitter for BlackBerry in its beta form, but last night it became official. Twitter for BlackBerry 1.0 has an additional feature over the beta version -- the ability to go to any profile from any screen. The official version will also support seven additional languages: Dutch, Indonesian, Japanese, Korean, Portuguese, Russian, and Turkish. RIM will roll Twitter for BlackBerry into the App World by region, and everyone should have it within a day or so.